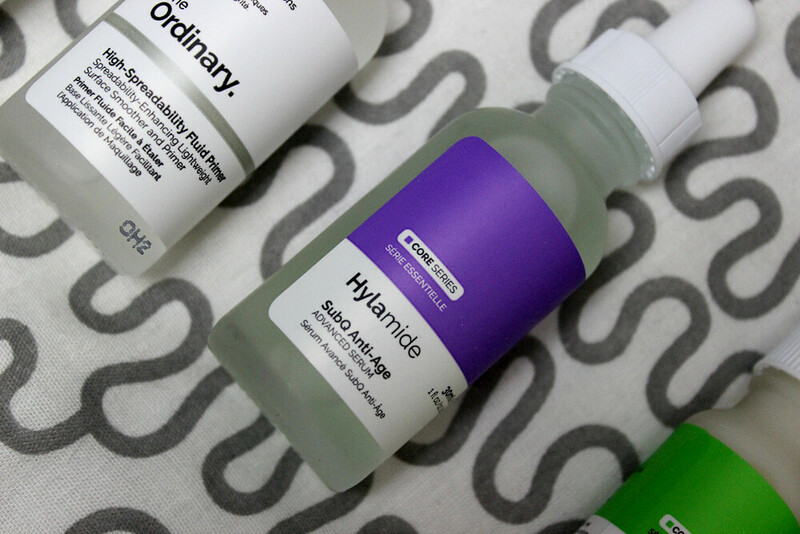 I’m not the biggest fan of skincare and anti-ageing products but the lovely people from DECIEM got in touch with me recently and asked if I’d like to find out more about the range they have on sale. I thought that I’d never heard of them before until I really starting looking into the company and discovered the NIOD selection which I’ve seen banging around the blogger-verse for a time. So, off I went to a lunchtime meeting a few weeks ago and got to hear all about the thought process behind these products and what makes them so unique compared to everything else on the market. Heralded as the ‘abnormal beauty company’ DECIEM is all about the science behind skincare and cosmetics. Let me tell you, there’s a lot to get your head around when its comes to the ingredients and methods used behind the extensive collections available to buy. Founded by Mr. Brandon Truaxe, DECIEM began life in 2013 and has so far launched ten brands, with more than 100 products and shipped 2.5 million units to 12,000 stores across the world. Phew, this is one fast moving company alright! Generally, I was always one to just chuck a little powder on my face when I first started wearing make up and never did I think I would need such a thing as primer beneath foundation in my younger years. Primer, isn’t that for paint anyway? Well, I’ve been using a variety of different make up primers for a few years now and I’ve had them all from the colour-correcting to the slippery silicone types that send my Primark rip-off beauty blender spinning across my vanity and the cat chasing after it. 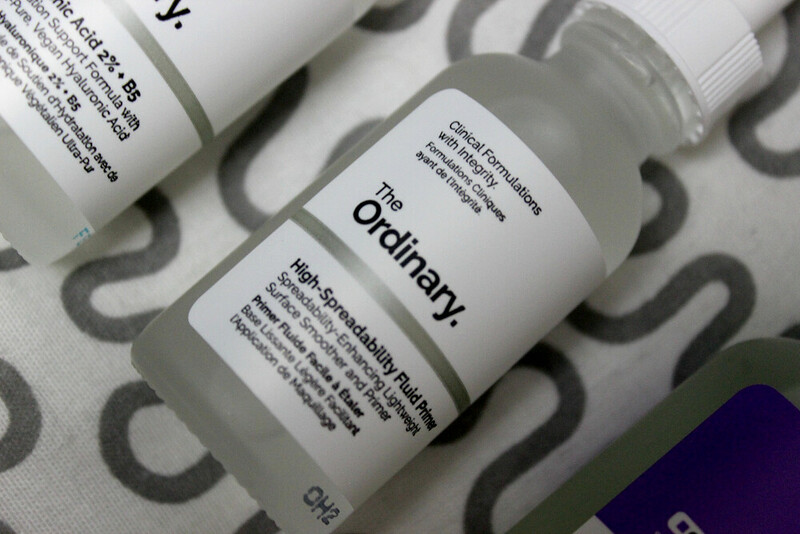 I like a good base to my make up without feeling like I’ve caked my cheeks with half of my cosmetics bag so finding something with a combination silicone and water-base like The Ordinary Primer is a winner in my book. You don’t want too much silicone to set into your pores and your skin needs to feel like it can breathe so slathering this all over my face is dreamy. According to DECIEM this primer uses advanced adaptive silicones to act as a matte, hydrating and blurring primer for makeup that looks higher in definition and adheres for longer – pretty nifty right? The reviews of this are worth the hype because you can’t really go wrong with the price, I’ve seen and used worse products for with a much dearer pricer and been very disappointed in them. I can’t really describe adequately enough how luxurious it felt using this primer on my skin without sounding like I’m just making it up – but I honestly did feel like my cheeks became as smooth as a baby’s bottom on first use. This is a great base and seriously a wicked price for a staple make up product. And, using a dropper to apply a little primer in my make up routine makes me feel all rad and that like I own this blogging/insta game. 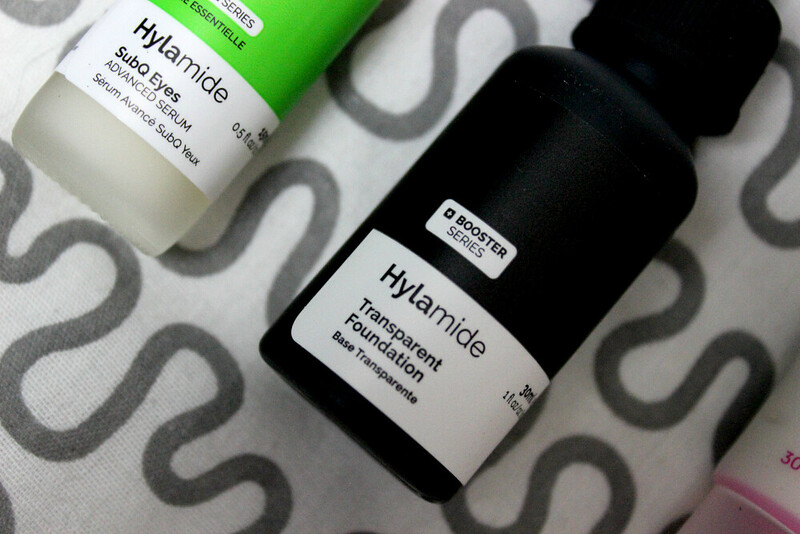 This Photography Foundation falls under the Hylamide branding and it’s what I would call the stand out product for me personally. I’m forever on the hunt for a good foundation to use that will give me a good coverage, last me most of a day and not feel too thick. Well, this selfie-orientated foundation has been developed with the front-facing camera generation in mind as it’s designed specifically to make the skin look better for the camera lens while blurring away imperfections in real life. My assessment on use? Well the foundation certainly feels fluid which is basically fantastic to mix with a good primer base to create a truly liquid film over one’s skin with a decent coverage. Honestly, it’s really good to have a luxury feeling foundation in your collection and this will be a staple product for a night-out look when camera phones will be flashing. I’ve been wearing this mostly daily for a few days at a time and it really sticks by the end of a work shift when my usual foundation has sunk into my pores long ago so I’m obviously loving using this instead. This is my favourite product of the bunch by miles! Even though I already have my foundation picked out for my wedding day look I’m considering swapping it for this instead because this just feels so light. I think all brides have nightmares about their wedding or have those funny thoughts in the middle of the night about really small things that could happen to snag their big day and getting make up all over my white dress is one of them. Using this photography foundation feels like having a shining liquid sheen on my skin without the weight of a heavy-duty product so my skin feels like it can breathe – and the coverage is really decent too. I’ll definitely will be repurchasing to add to my collection for those days when I really want a foundation that does it’s job and makes me look all dew-y. So, I turned twenty-seven recently and that means that I’ve started to spend a little longer in the anti-ageing lotions and potions department of high-street pharmacies. Never before have I wanted to even bat an eye-lid at anything that claimed to decrease the signs of ageing on my face because it always felt too soon for me to be thinking about anything like that. But well, with blowing out the candles on yet another birthday cake I really have started to notice the odd crease here and there that could do with a little extra attention so something like this SubQ Anti-Age Serum is great because it concentrates heavily on exactly what my tired skin needs these days: hydration. 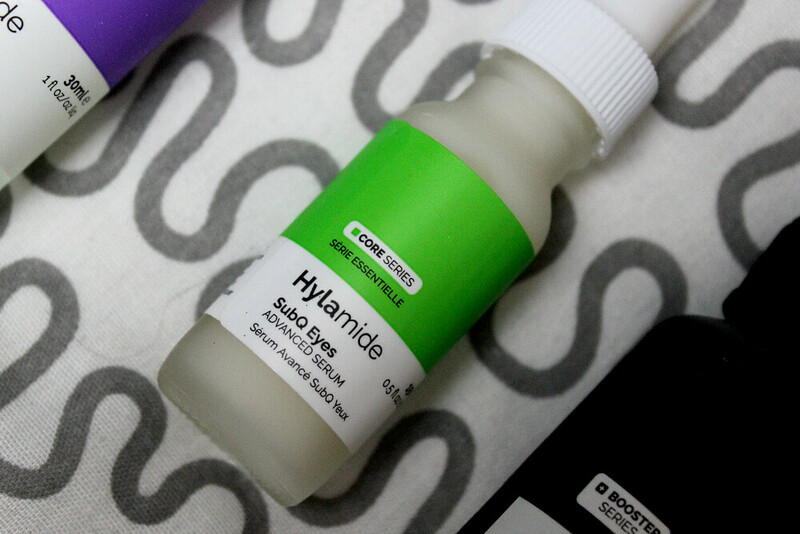 Another one from the Hylamide branding, this anti-age serum supports healthy skin barrier function, improves the appearance of skin texture and offers lasting rehydration with continued use. Using this product is another luxury, even if having these bottles stashed on my bedside table looks like a home-science experiment with so many scientific phrases everywhere, but that’s the point. I like how there’s just so much that has gone into the research behind these products with a strong knowledge that everything has been researched to balance together. I’ve handed this over to Rick to use because he’s been looking for something leading up to our wedding to try and so far he’s told me that the results are good enough for him to keep going with it right up to our date. Don’t tell him but I’ve been putting a little of this on during the evenings to see if it makes a difference and, like almost everything I’ve tried from DECIEM, feels nice. I’m not 100% on the results though because I’m still convinced that a concoction can’t turn back the clock but it atleast feels good to be something to look after my skin from the signs of ageing. Working together with this anti-age serum is the SubQ Eyes Serum, which is a high-strength serum that promises to reduce the look of dark circles and puffy under-eyes. I don’t know about you but dark circles are a constant plague of mine and I must spend plenty of my time and money on various under-eye concealers that cover them up. How about getting rid of those dark circles instead of covering them up and adding another unnecessary product to slosh on my face during my daily make-up routine? Sounds pretty awesome to me! I’ve used this a handful of times because again, Rick is using it, and it certainly feels okay but I’m not sure about it’s effects, but I have a real problem with keeping up any type of beauty routine so I doubt only using it a few times is going to give me miracle results. I tell you what though, this feels great to use alone because of its packaging design. There’s just something pretty cool about using a dropper instead of a standard bottle. Each item I have in my selection has a feature tagged onto it’s name like foundation, primer and serum so we have some idea of what it’s meant to be used for but I literally haven’t got a clue what this Hyaluronic Acid is about. From what I can gather about this product one must first get an idea of what hyaluronic acid is. Well, Hyaluronic Acid (HA) can attract up to 1,000 times its weight in water. The molecular size of HA determines its depth of delivery in the skin. So, this formulation combines low-, medium- and high-molecular weight HA, as well as a next-generation HA crosspolymer at a combined concentration of 2% for multi-depth hydration in an oil-free formula. 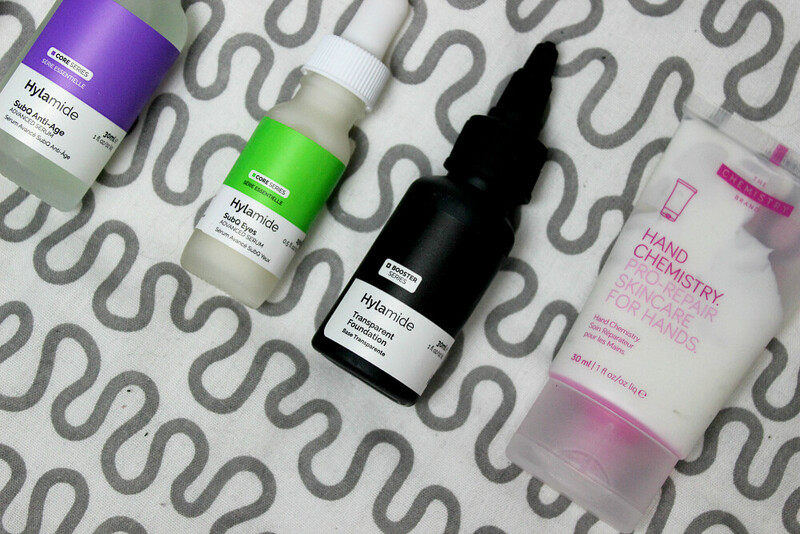 This system is supported with the addition of Vitamin B5 which also enhances surface hydration. Yup, that’s a real gob-full isn’t it? Okay, so all you really need to know is that you should apply this product to your face in the morning and the evening before creams to freshen up and hydrate your skin. I’ve used this a handful of times and still don’t quite know what to gain from it but I have been more inclined to reach for this in the early mornings before work when I’ve felt quite tired to really help my skin to pop a little more. Obviously I wouldn’t recommended using skincare products as replacement for a decent night’s sleep but this little bottle goes a little way to helping on those nights when I haven’t achieved my full forty winks. 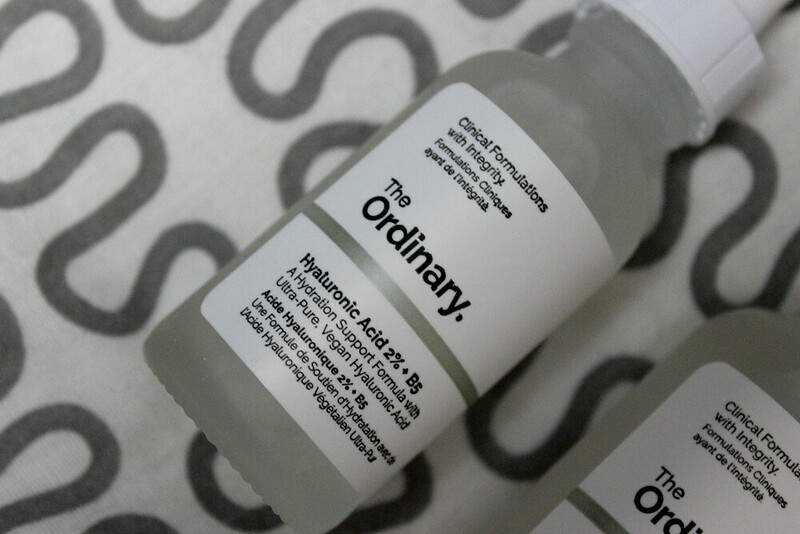 Having a nose about I’ve found this really useful guide on how to combine multiple formulations of the The Ordinary in a single regimen for those who, like me, are a little lost in the science and want to know what’s the right balance for them. 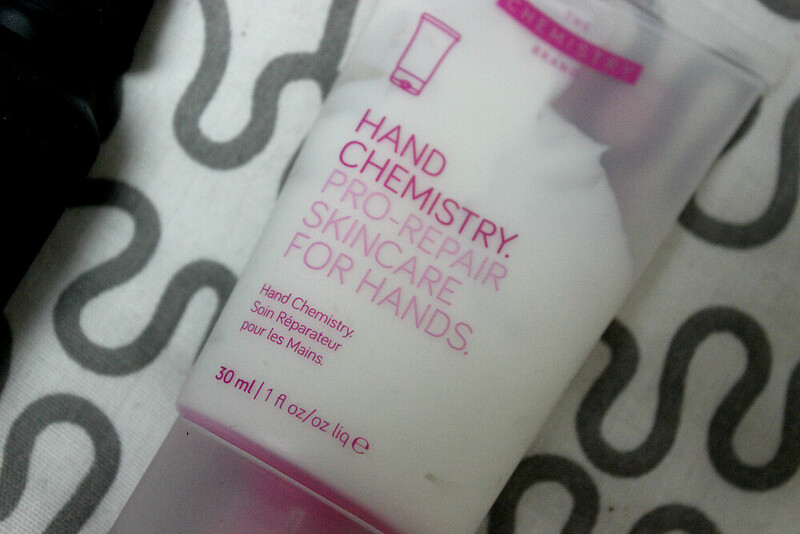 The final product I’ve been trialling is the Hand Chemistry Pro Repair Skincare for Hands. There’s a few items in this range to pick and choose from but I have this nice and compact handbag-filler that’s been travelling with me for a little while. I’m mad on hand creams at the moment with working on so many different craft projects and hauling boxes around at work my mitts are always poorly looked-after on a daily basis, hence the need for some serious repairing hand cream. I’ll be honest and say that the picture used on the website to illustrate the wondrous healing powers of this product really isn’t the best representation. I seriously don’t believe that hands such as those could be healed so well just by using this hand cream but with how much I’ve used it myself I can say that it does make a real difference. Ya know when you get really dry lips and have to shell out for something heavy-duty to help your out for a few days? This hand cream is like an equivalent of Blistex. A good addition to any person’s handbag when they’re going through a rough period of dry and peeling skin on their hands, well worth the pennies for a product that can be used again and again during flare-ups. All-in-all I really like using some of the products in this bunch, the primer and foundation especially for everyday wear. Having a range on the market that is so focused on the scientific side of beauty is quite cool, but intimidating in knowing where to start because there’s just so much choice and when you’re a novice like me going through the products on sale feels like preparing to climb a mountain. My advice? Just jump right in, don’t read up on any reviews and take them seriously enough to swear off of a product, note the ingredients and think if you could do with something as such within your daily regime and go from there. 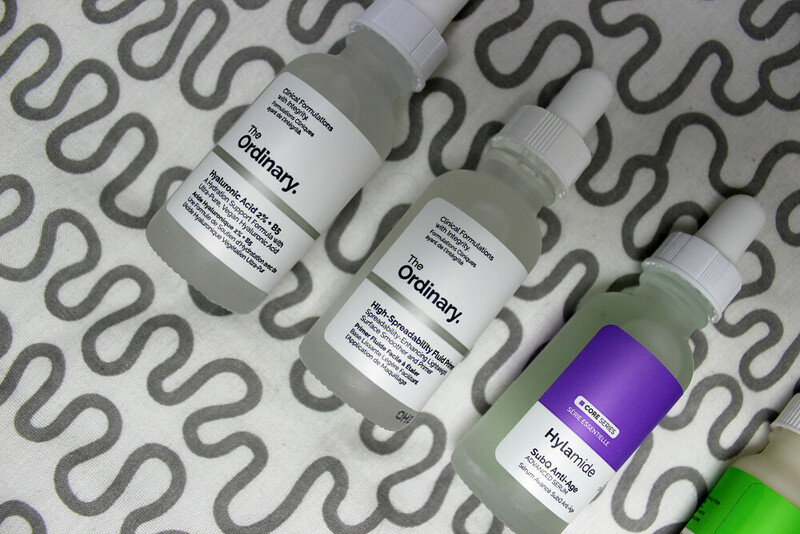 Have you tried anything from DECIEM recently? What do you think of any of the product I’ve reviewed? Let me know in the comments.